Thank you. 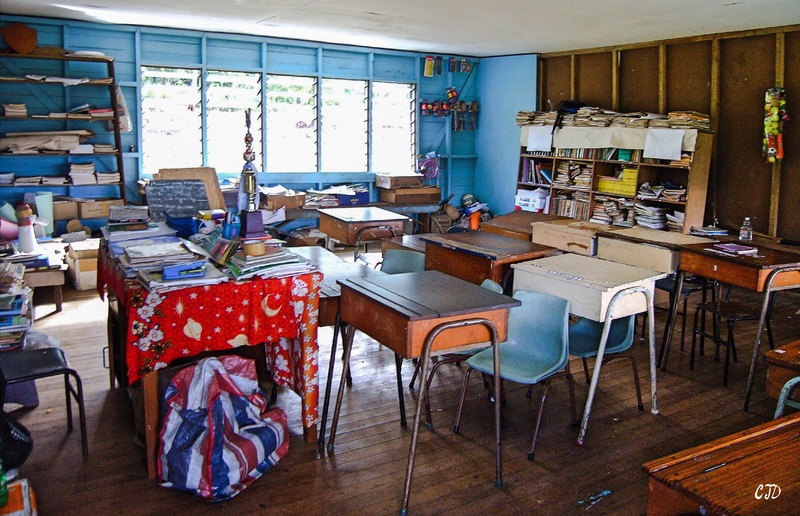 Yes, this school had the quintessential classroom you think about when you think of the one room schoolhouse around the 1900’s. This wasn’t a one room school though, they had three. One for the wee ones, one for the middle and one for high school. I liked the fact that there was a range of ages in one room though because the older students helped the younger ones. It wasn’t fancy but it was conducive to learning. They had a nice volleyball court for recreation too. My kids both spent several summers working at Casa de Elizabeth, an orphanage in Imuris, Mexico. That theme of things being so much simpler there was all through the journals they kept. That and the surprise that the kids were just as happy without all the electronic gadgets — though if I remember correctly, I think they did have a common room with a TV. U mentioned older students helping younger ones. That was common in 1-room schools here as well. Wonderful – colour and alive and vibrant! Lovely basics can speak loudly, DE.